This guide is for v1705 Enterprise File Fabric Appliance. The Appliance is provided as a VMWARE image, Hyper-V image and in OVF Format. The VMWare is setup to use DHCP, this can be changed during configuration. 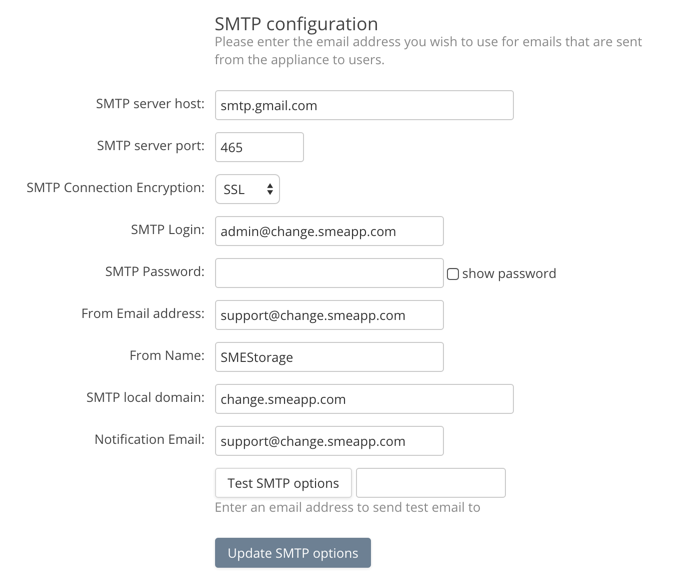 An email address with SMTP server details to connect to that account. This will be used to send emails. If you want to use FTP/S then you will need to configure the firewall to allow FTP passive connections. The Appliance can attach to all the storage providers supported by SME. You can see a list at http://storagemadeeasy.com/cloud_list. To attach your local storage you will need to provide an FTP or WebDav interface on top of your local storage. You will require the Authentication Details and License key that you were provided in an email to be able to configure the Appliance. Please have these to hand. 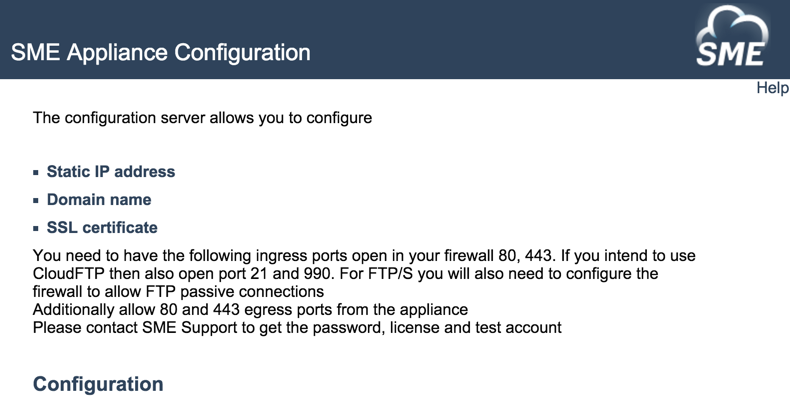 Start the VMWare instance and ssh into the appliance. 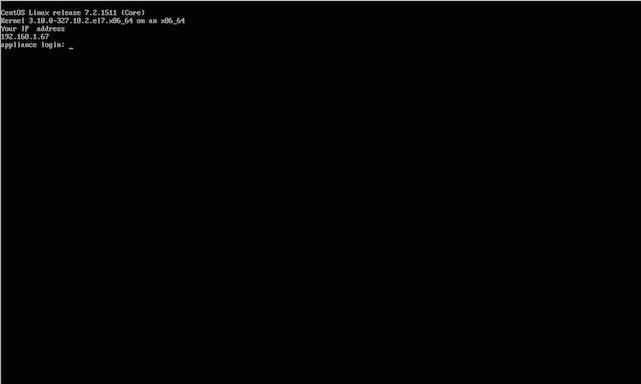 The IP address is displayed in the console. This will invoke a wizard that will enable a static network IP address to be added. If you wish to configure the Appliance DNS and SSL certificates then, after login, you can launch the Appliance installer. 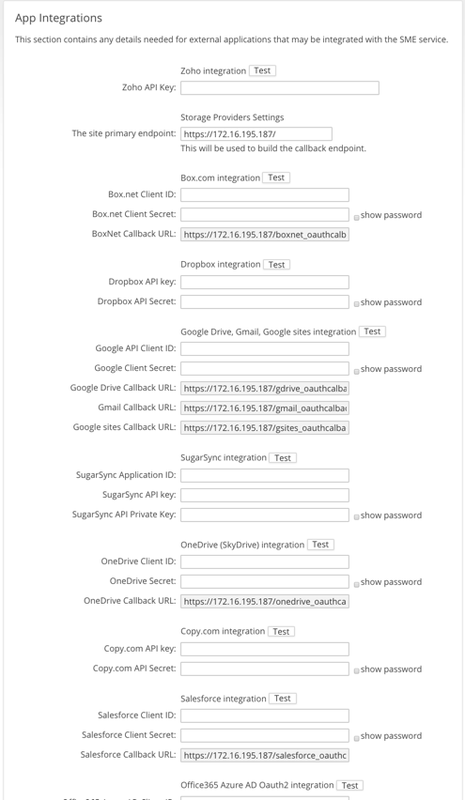 If you wish to simply check out the features of the web Appliance and use the Appliance only in IP mode (rather than DNS) and test clients over http only you can navigate straight to the Appliance using the IP address and login using the authentication details you will have been provided in an email. 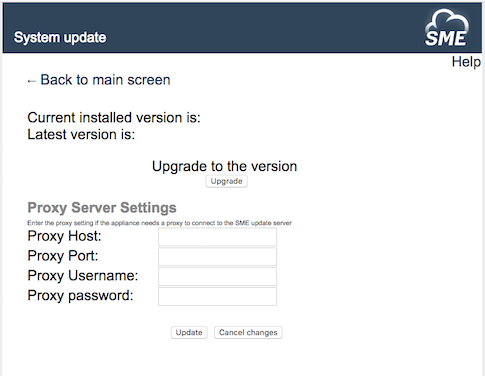 This will start the configuration server on port 8080. Please make sure that you shutdown the configuration server after you have finished configuring the appliance. You should see the Welcome Screen. In the “SME Server Hostname Settings” options you set the domain names that will be used to access the File Server. You should have the IP address that you want to use configured in your DNS server. This change requires a reboot of the appliance. 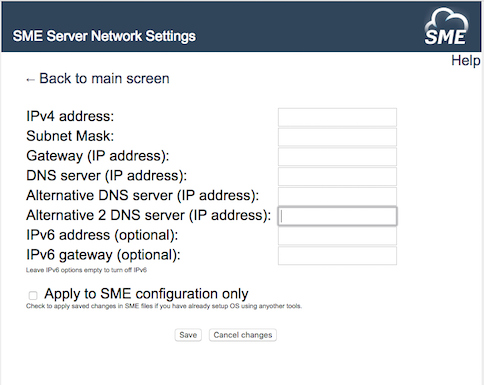 In the “SME Server Network Settings” the Admin can set the static IP address, Gateway, IP Mask and DNS server to resolve hostnames. This change requires a reboot of the appliance. 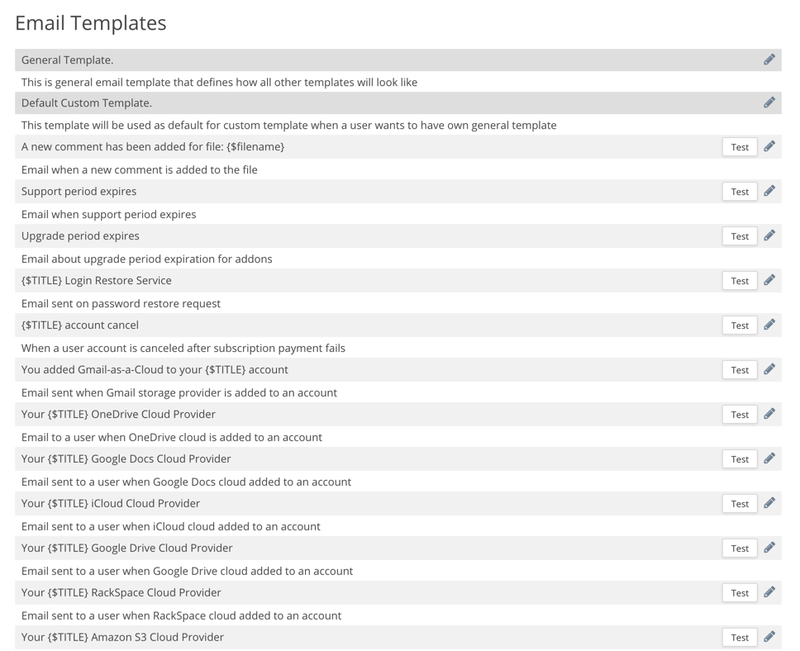 If you check the Apply to SME configuration only checkbox then changes are only made to SME components. 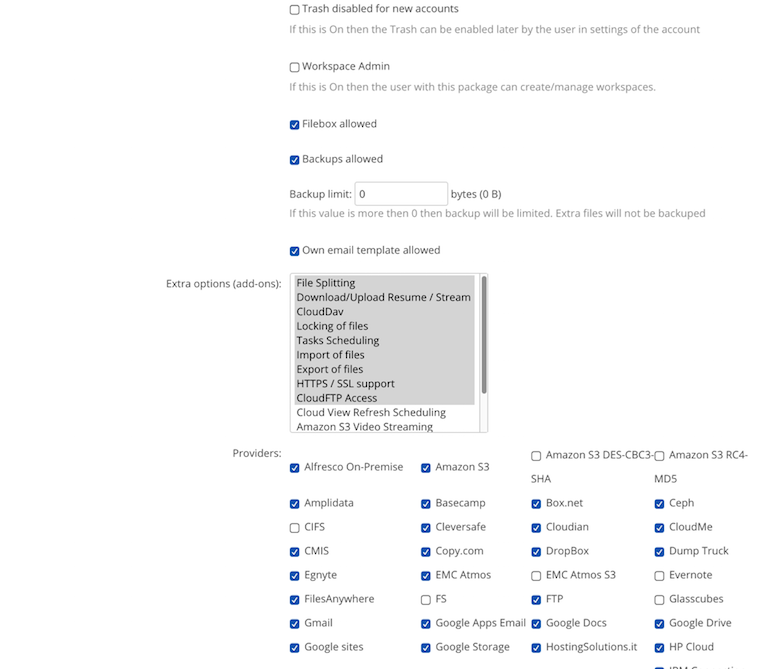 This is useful if you have configured the network settings direcly in the operating system or are deploying the appliance in an IaaS e.g Amazon EC2 and do not want to change the operating system network settings. The File Server uses https to communicate with the clients for security. For https to work correctly you need wildcard SSL certificates that matches the domain name that you have configured. The SSL certificate should match the host name that you have configured. Please Note that if you don’t set SSL certificates then some native clients that use https will not be able to communicate with the appliance. 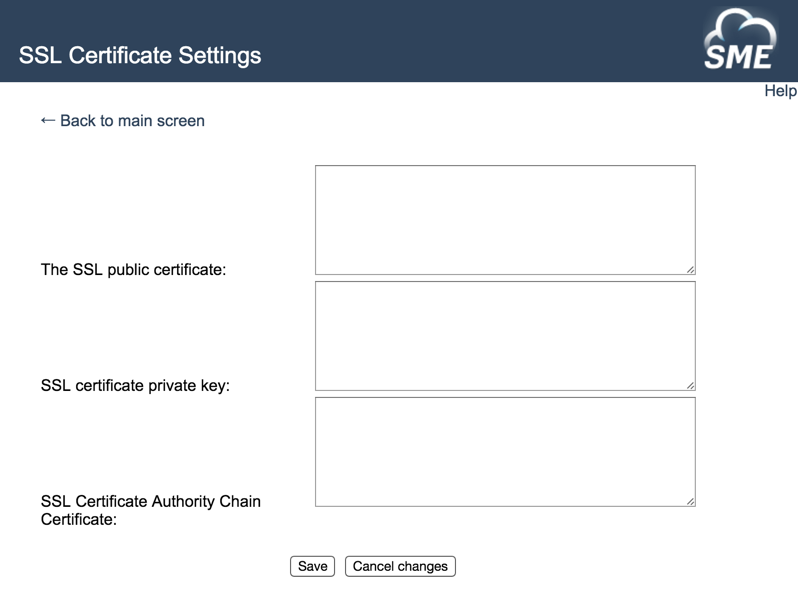 Self-signed certificates are generated with each new version of SME Appliance. From version 10 they are included out-of-the-box. Here you can update the appliance with the latest release. You can check for a new version here. 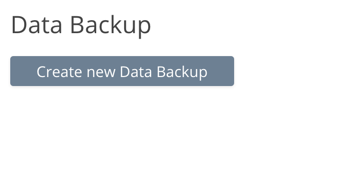 When the appliance is updated with the new version, the installed version is saved and allows you to rollback to the previous installed version. Using your browser login as appladmin . Change the password after logging in for the first time. You will see the home screen, on the right hand side you will see different options to customise the website. The appladmin account is used to configure the functionality of the appliance. Depending on your key different options will be available. Enter the license key and depending on the key new functionality will become available in the right hand side menu. If the key is expired or you have not entered a valid key then you will only be able to use clouduser account. 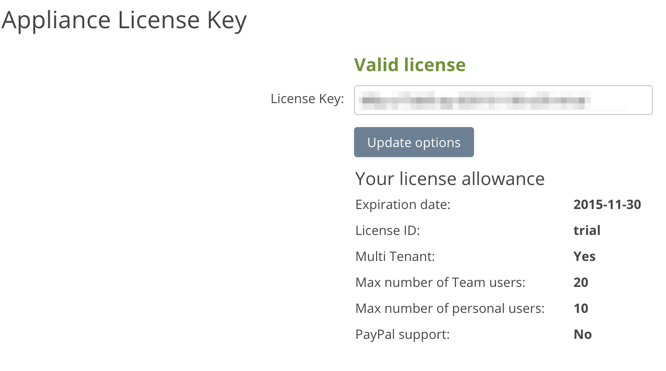 After you have entered the license key you will see more options. Companies can brand and change logos and look and feel for the Appliance. Advanced usage also enabled custom CSS style sheets to be applied. 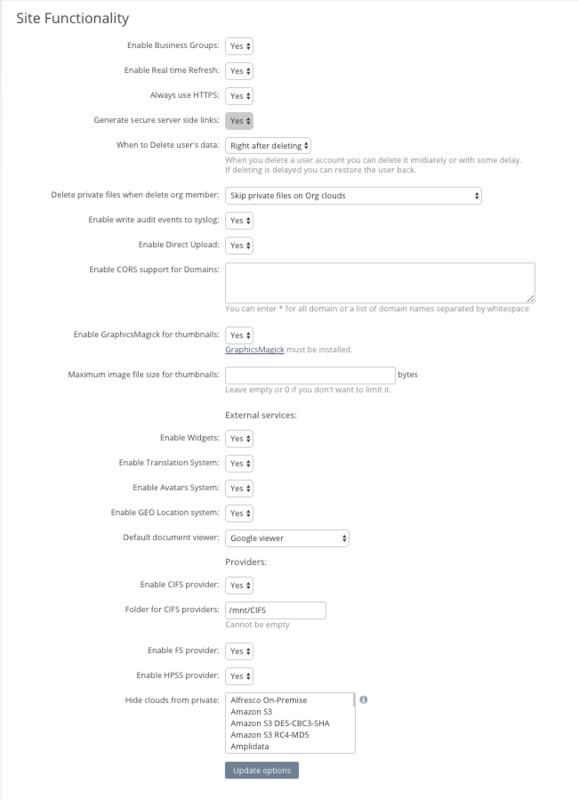 User Registration can be customized using the options in the User registration section. The SME Appliance is provided with a comprehensive PDF annotation suite. 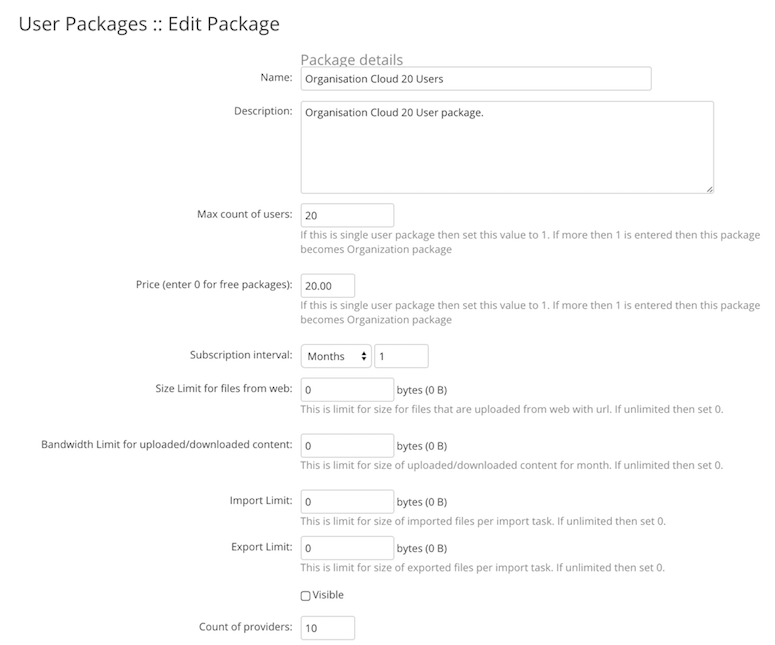 The Annotations can be enabled for users at a package level. Please refer to the SOLR and Burn Docs here for guidance on how to configure the PDF burn service. 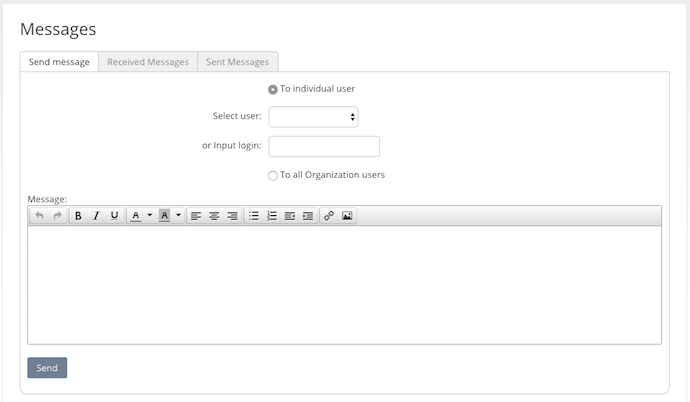 The default email templates that are used with the Appliance for customer interactions can be changed here. This screen allows you enable/disable appliance wide functionality. The File Server uses an external email SMTP server to send registration and notification emails. Here you enter the account details that will be used to send emails. 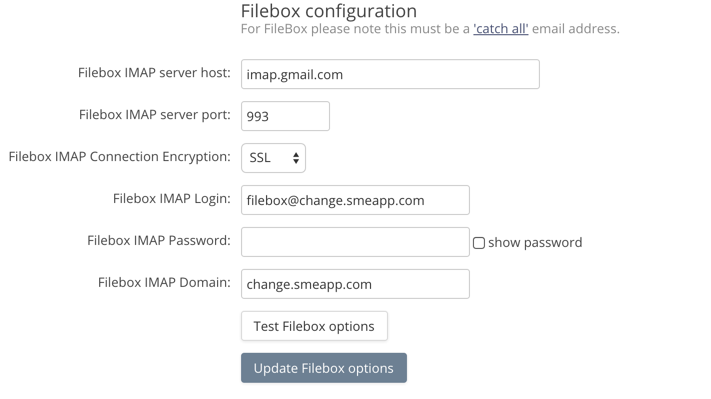 The Filebox feature provides each user and shared folder a dedicated email address. This is an optional feature. A user can send email with attachment to the firebox address. For this you will need a catch all email address and IMAP server. The SME Appliance can use Zoho to view and edit MS Office (Word, Powerpoint and Excel) and RTF documents. 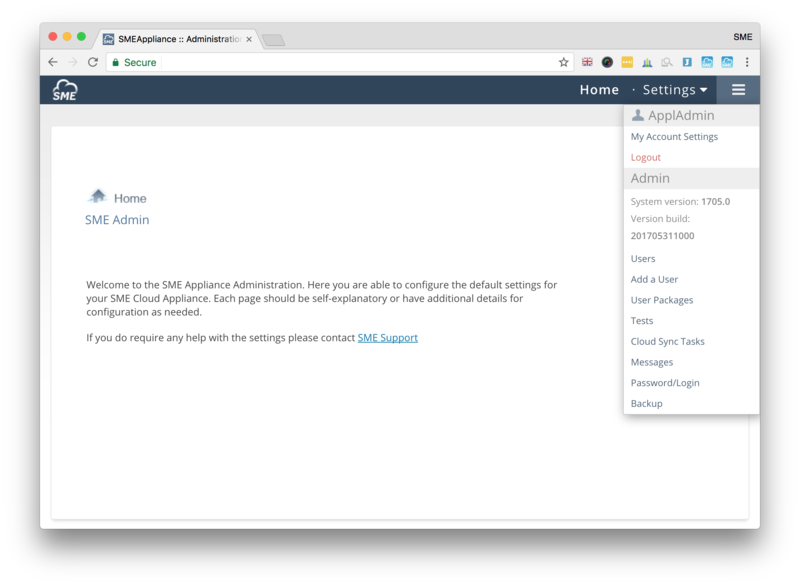 You will need to register for Zoho API at http://apihelp.wiki.zoho.com/ and enter the API key. Please see the SOLR configuration guide here for search configuration. 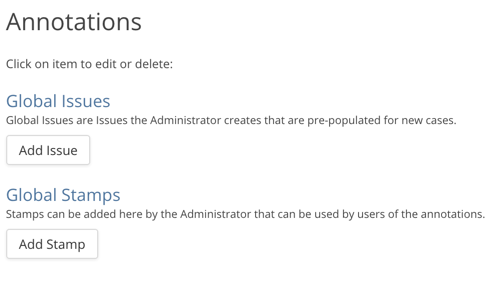 Here you will see background tasks that you have initiated as an administrator. You can change the ApplAdmin password. You can see a list of all users and the packages that are assigned to them by clicking on Users on the left hand side. You can change a users password, activate or inactivate and delete users and also configure the functionality available to him. To Add a user Click on “Add User” and enter the details. A new user can also be added using the API. 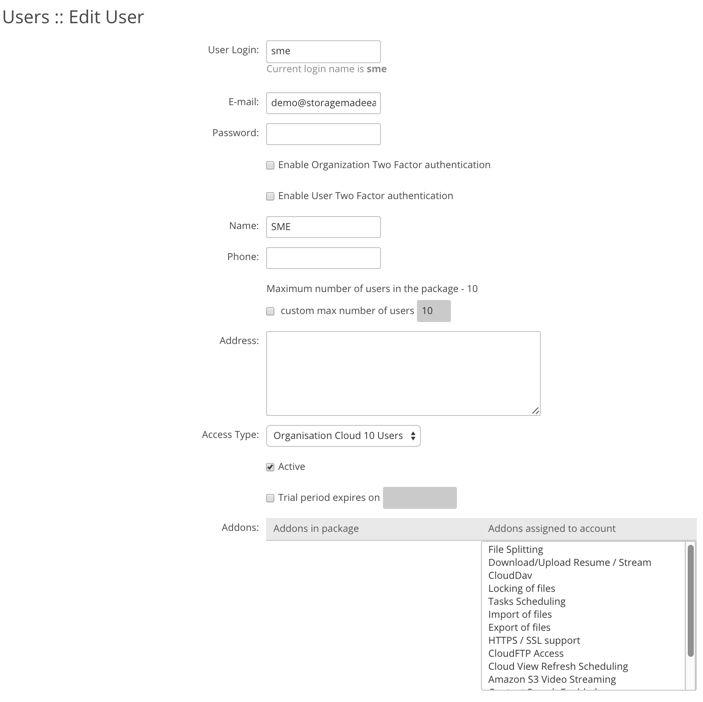 You can edit and create User packages that are assigned to users. Sample packages are provided. 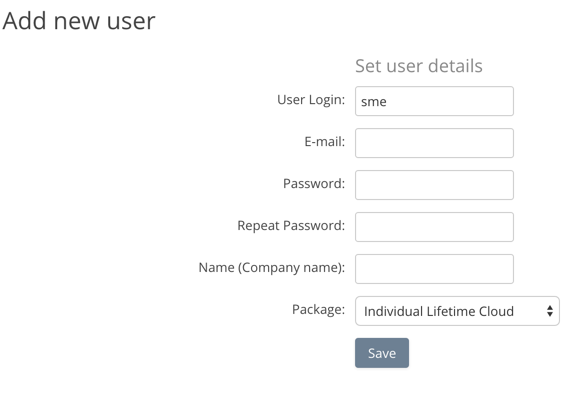 User Packages allow you configure available functionality and default setting for new users. This is the end of the configuration guide for the SME Cloud Appliance.